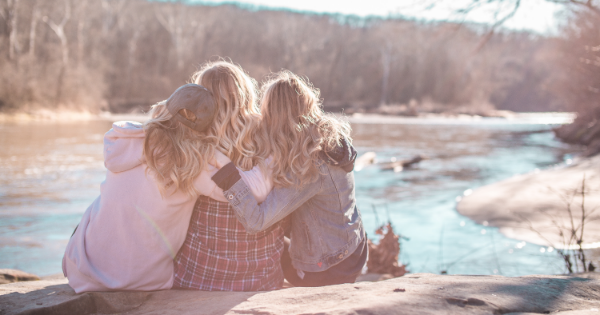 These 8 suggestions will help you know how to help your friends recover from their divorce grief. Many of us struggle to know how to help friends dealing with grief over death. Knowing how to help friends dealing with grief over divorce can be even more challenging. And yet, while the circumstances of the loss may be different, the compassion called for is the same. Advice on going through the grief process of divorce usually starts with defining the grief process itself. And whether the griever is mourning the loss of a life or the loss of a love, the stages are still basically the same. Divorce, like death, has effects that ripple outward like a pebble thrown into still water. You expect the disruption to the immediate family, but there is always a broader circle that feels the effects. Those on the outskirts of the divorce experience their own loss and shift in normalcy, and these can affect their responses to those divorcing. Knowing how to help friends dealing with grief over divorce can be tricky if you let your own feelings or judgments get in the way. It is common to intellectualize a divorcing friend’s emotions, or to try to make the friend happy or distracted from them. It is only natural to want those we care about to be happy. But, as the saying goes, there is a time and place for everything. And that includes emotions. In the early stages of a divorce, it’s important — even necessary — for a person to feel his or her emotions. The pain may be guttural, the talking may be erratic, the strength of emotions may seem alarming. But the emotions need to be felt if there is going to be healing and progress. And that means you may have to do some introspection if you are going to know how to help friends dealing with grief over divorce. If you are uncomfortable with their emotional state, you are likely connecting their emotional state to your own. And doing so will only lead to more resistance, distraction, and ultimately the persistence of the emotions. Your job as a friend is to provide a place for your grieving friend to simply, safely be. Chances are your grieving friend is already questioning his or her own worth, feelings, behaviors and choices. Having a no-judgment zone is a remarkable gift that can be a saving grace during a deeply painful time. People who are grieving are winding through multiple emotional stages all at once. And they often can’t make heads or tails of what is going on inside their hearts and minds at any given moment. Being able to tell their stories, albeit over and over, helps them to process their experiences in the context of their feelings. And being able to hear themselves while a trusted friend hears them as well is incredibly validating and clarifying. As a listener, your job is to offer a sympathetic, empathetic, non-judgmental ear. You are not there to fix things. You are there to be a safe place for your friend to be heard at a time when the rest of his or her world seems to be vanishing. 2. Hold off on the pep talks. It takes a lot of self-control to pull back on the desire to lift a friend’s spirits with laughter and hopeful “-isms.” It also takes very clear and intact boundaries. Remember that it is not your job to ensure your friend’s happiness. It is an incredible act of friendship to remain undaunted in the presence of someone who is emoting from a place of suffering. And it is an even greater expression of selflessness to allow that person the dignity of arriving at and owning conclusions on his or her own. 3. Be patient and supportive. Avoid placing timelines on your friend’s emotions or conditions on his or her decisions. Separations and divorces can be complicated and full of surprises, including changes of heart. People going through break-ups need to have the freedom to explore their options without worrying that their support systems come with a list of conditions. 4. Learn about the divorce process. What an amazing expression of support and solidarity it is to learn, on your own time, about what a friend is going through! Imagine what it would be like to receive a terrible medical diagnosis and realize that your friends were busy researching it and exploring options on your behalf. Learn enough so that you can be helpful and insightful when warranted, and enlightened and supportive throughout. 5. Reassure them of your love. Those grieving over divorce are often starved for love, and often question their own lovability. The simple reassurance of that you love them as they are is a gift that is never forgotten. And what more impactful time to bestow that gift than when your friend has just done an “ugly cry” or spewed a litany of anger over his or her ex? 6. Anticipate the pain to come…and be there. Divorces that involve children have another level of agony to them. And once the exhaustive proceedings have come to a close and the “new normal” has been decided upon, there is that first feared day when it has to go into effect. Children can’t be two places at once, so either each parent is going to feel a sinking loss the day the children walk out the door to go with the other parent. One of the most compassionate gestures you can make is to anticipate that pain…and be there to help your friend through it. Plan something to do together for the first several times the children are with the other parent. Watch a game together, cook dinner together, go to a support group together. Just. Be. There. 7. Help with the chores. Few people will have the courage to ask their friends for help around the house. And yet, for a newly divorced parent — especially one re-entering the job market for the first time in years — the day-to-day list of things to do can be exhaustive. It’s always a telling sign of empathy and true friendship when someone is willing to do the behind-the-scenes grunt work that ultimately helps the most during times of illness, change or grief. 8. Help with the kids. Every parent knows that it takes a village to raise a child, and ideally two adults to make each day’s routine possible. Being tossed into single parenthood at the drop of a gavel turns the lives of everyone involved upside down. Suddenly both parents have no choice but to work, both have households to maintain, and the kids’ demands don’t decrease just because their parents divorced. Something as simple as babysitting or picking the kids up from school can make all the difference in a single parent’s ability to get back on his or her feet while re-creating a sense of normalcy. If you are still wondering how to help friends dealing with grief over divorce, take a moment and put yourself in their position. Try to feel what they are feeling. Imagine needing what they are needing. Reach into the recesses of your empathy and ask yourself what you would likely most need and want, but wouldn’t know how to ask for.